What's included in your Mauritius holiday package to Royal Palm Beachcomber Luxury? The Royal Palm Beachcomber Luxury is undeniably the finest hotel in the Indian Ocean – this hotel is an exclusive private residence that’s truly a world apart. Its loyal and discerning clientele return year after year to immerse themselves in the understated lavishness of this tropical haven. The hotel has hosted royals, political leaders, movie stars and sports stars who have enjoyed the privacy of its quiet beach, restaurants serving only the finest food and wines, and above all, the privilege of anonymity. Recent upgrades have ushered in a brand new era at Royal Palm Mauritius. After five months of extensive renovations, Royal Palm emerges refreshed and rejuvenated cleverly mixing modern textures, shapes and materials with classically drawn lines ensuring the finishing product is, above all else, comfortable and welcoming. The Royal Palm brand promises to deliver to its guests more than just a holiday but rather a collection of meaningful experiences which stir the senses. All staff members are dedicated to creating an oasis of comfort and pleasure. The staff intuitively know that what makes Royal Palm different is the refinement and elegance with which we open our boutique hotel as your home-away-from-home. This luxury hotel attracts a unique clientele who expect the utmost in quality and service. With a staff ratio of three professional staff members per suite, excellent yet discreet service is guaranteed. Further personalised service offers guests the choice of dining in-suite for either breakfast or dinner. A tray charge is not levied for room service orders and dinner is served with the requested intervals between courses. Even on the beach, staff attends to your comfort by positioning your lounger just where you want it and replacing your beach towel each time you return from a swim. You can choose to arrive at Royal Palm in one of the fleets of BMWs; a luxury 4-wheel drive vehicle is also available. But the ultimate is to make the journey from the airport by helicopter and enjoy the magnificent view en-route. Landing is permitted until 15h00 each afternoon to protect the peaceful ambience of the hotel. Kids Club Beachcomber at Royal Palm is free and welcomes children aged 3 - 12 years, 7 days a week. The club is open from 09h00 to 23h00 daily. The kids club is run by qualified professionals who provide fun, but also educational, indoor and outdoor activities to keep your little ones entertained and happy. Every day there is a set activities programme which you can dip in and out of if you also want to spend some family time together during the day. Children and infants under 3 can attend the club but must be accompanied by an adult or babysitter. Children and infants under 3 can attend the club but must be accompanied by an adult or babysitter. A wide range of excellent facilities and services are available to keep children happy and safe. Accommodation 69 rooms The luxurious all-suite accommodation at Royal Palm is some of the finest you’ll find on Mauritius, with a blend of intuitive luxury and exotic refinement. Suites are spacious and sumptuous with views towards the calm, crystal waters of Grand Baie. Non-Smoking Policy: All suites, restaurants, bars and public areas of the Royal Palm hotel are non-smoking areas. Suites are located on the ground, first and second floors and are close to the lovely beach. Open plan bedroom including a lounge area. Balcony or terrace. Suites are located on the first floor with balcony and stairs leading down to the gardens. Spacious bedroom with lounge area. Large Terrace. Complimentary tea & coffee. Suites are located on the ground floor and provide double access to the terrace and the garden and beach beyond. Spacious bedroom with lounge area. Large en-suite bathroom. Terrace. Complimentary tea & coffee. Suites are located on the ground and first floors opposite the turquoise Indian Ocean. Spacious bedroom and large separate lounge. Palatial bathroom. Double terrace opening onto the gardens and sea. Complimentary tea & coffee. Suites are located on the ground floor. Large open plan bedroom and living room. The second bedroom has an en-suite shower room and twin beds suitable for two young children. Terrace. Complimentary tea & coffee. Suites are located on the ground and first floors with private stairs offering direct access to the gardens and the beach beyond. Separate lounge. Spacious bathroom with walk-in wardrobe. Terrace or balcony. Complimentary tea & coffee. Suite on the top floor of the hotel with magnificent views of the ocean. Superb bathroom with large dressing room. The living room leads onto an extensive fully furnished balcony, ideal for dining al fresco. The bedroom has balcony access. Complimentary tea & coffee. Prestigious suites which are situated on the top floor have breath-taking views of the ocean from the spacious balconies. Two large bedrooms each with beautifully furnished en-suite bathrooms. The huge living room leads onto a spacious balcony with dining and sunbathing areas with a panoramic view of the ocean. Both bedrooms have access to the balcony. Complimentary tea & coffee. Breakfast: “à la carte” and buffet from 7.30 am to 10.30 a.m. This Italian restaurant is set on two open-air terraces overlooking the lagoon. Open for à la carte dinner between 19:30 and 22:30. Seats 40. Guests may also enjoy the informal elegance of private dining on their balcony or terrace. Nothing could be more enjoyable than a leisurely breakfast or romantic dinner at a table laid exclusively for you and served by a personal waiter. For small family parties, there's also the option of dining at the Captain's Table. Highly exclusive and elegant, this is the ideal place for those intimate, private dinners. Since his arrival in November 2003, French starred-chef, Michel de Matteis, has lent his exceptional savoir-faire to the Royal Palm, leading gastronomic hotel in the Indian Ocean. Awarded the Meilleur Ouvrier de France prize in 1991 and winner of the Pierre Taittinger culinary prize (beating 450 competitors), Michel's career began at the Royal Monceau kitchens in Paris and has gained most of his experience in Parisian restaurants. He worked chez Taillèvent before joining the Saint James Club Hotel and then moving on to La Tour d'Argent as deputy chef. Then it was onto Hôtel du Château de Divonne, and 5 years as chef de cuisine at the Mirabeau Hotel's La Coupole (1 Michelin star), in Monaco. His preference is for subtle flavours and his culinary repertoire can now be enjoyed at the Royal Palm's three restaurants, La Goélette, La Brezza and Le Bar Plage. While the dress is casual during the day, evenings call for elegant evening dress, with collared shirts, long trousers and closed shoes for gentlemen. 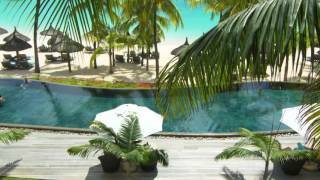 Royal Palm Beachcomber Luxury is known for its all-around excellence and the sports facilities make no exception. Located in the heart of the hotel's gardens, the modern and spacious sports centre offers the latest equipment whilst a team of professional trainers and supervisors ensure safety and offer classes for the activity* of your choice from 08h00 to 20h00. The Royal Princess blends the utmost in cruising indulgence with the distinctive sophistication and flawless service of the Royal Palm. This crewed luxury yacht is designed to deliver excellent, all-around performance while offering comfortable living and unrivalled style worthy of our discerning guests. Be it for a day charter to the northern islets, a sundowner cruise along the west coast or an overnight trip, enjoy the flexibility and exclusivity of tailoring your experience to your own inclination. A unique chance for sea enthusiasts to cast off for an astounding sailing adventure, gliding away through the clear blue waters around Mauritius. Set on the beautiful north coast, the Royal Palm enjoys a natural setting for guests to make the most of the outdoor activities. The hotel offers a choice of land sports for all ages and levels. Guided by the team of professionals, guests will make the most of the sports facilities and services. More experienced tennis players can enjoy a challenging match with one of the professional coaches, whilst beginners will benefit from the group or individual lessons. An exclusive squash court and brand new bocciball court offer first class areas for guests to practice their favourite sports.